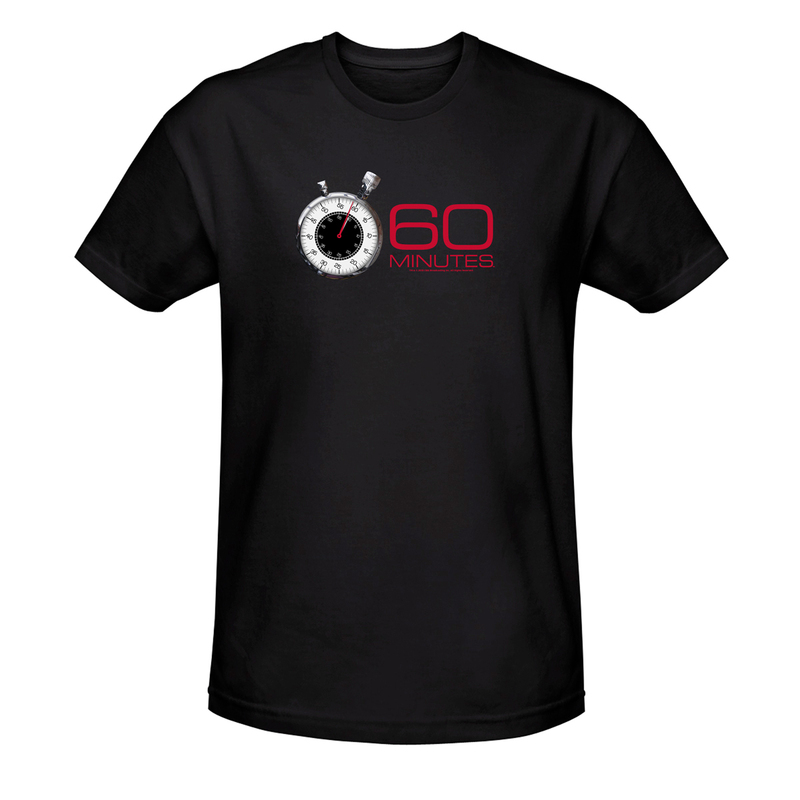 Say you’re in the know with the 60 Minutes Stopwatch T-Shirt. 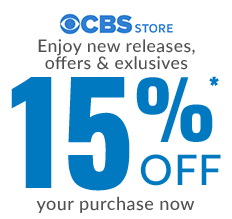 The 100% cotton t-shirt features the iconic Stopwatch of the long standing in depth CBS news program. 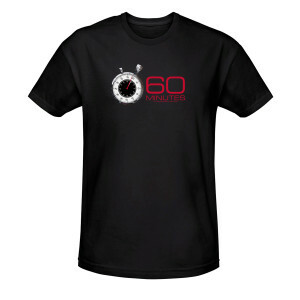 i love the t-shirt i love the logo the stopwatch i really love lesley stahl also i love norah o'donell, anderson cooper, steve kroft, bill wittaker, scott peley, oprah winfrey, holly williams, i l also love walter conkrite, mike wallace, ed lauer, dan rather, i watch 60 minutes all the time i always look forward to seeing lesley stahl i think lesley stahl is awesome and very pretty also pretty in her snazzy way i love lesley stahl glasses she wears her round framed glasses i also love norah o' donell i think norah is very awesome and very pretty i loved wlater conkrite also mike wallace of 60 minutes i think they we're very good also i love dan rather i thnk he was very good i really like the t-shirt i love the 60 minutes logo and the correspondents of 60 minuts my favorite of all is lesley stahl i think she is awesome and very pretty and also pretty in her snazzy way and to norah o' donell' lesley stahl i love you you are both my favorites in the whole world on 60 minutes you are both awesome and very pretty take care norah take care lesley "PEACE!"